For many of us, the phrase “mechanical engineering” evokes images of complicated diagrams and dreadfully hard physics problems. For Trumbull senior Jan Kolmas, however, engineering embodies not just an academic subject but also a lifelong passion. 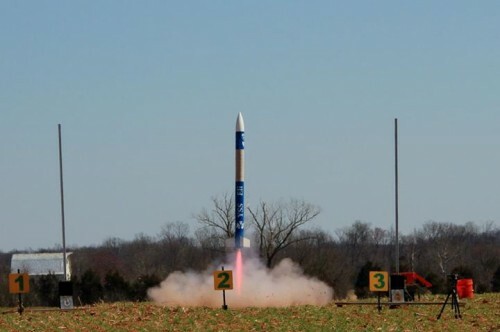 The launch of the 2013 Astro-Egg Lander winner, the rocket YSS Eli Whitney. Photo courtesy of Jan Kolmas. Although the YUAA was founded less than four years ago, Kolmas and his teammates have already met with great success. 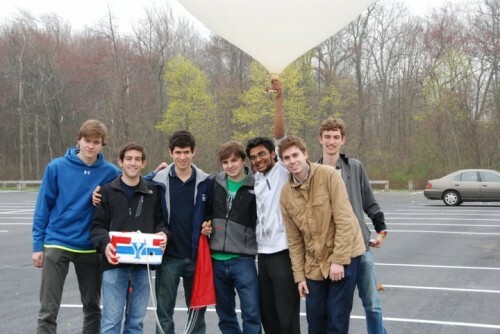 In addition to being one of the largest student-run organizations at Yale, the YUAA team also won the Astro-Egg Lander event in the Battle of the Rockets Competition this year. Kolmas, an enthusiastic and accomplished athlete, has run a Half Ironman Triathlon. Photo courtesy of Jan Kolmas. Outside of aerospace, Kolmas has explored other aspects of mechanical engineering through research. During the summer after his freshman year, he worked in the GRAB Lab at Yale, a group that specializes in robotics. “Imagine someone who had an accident or who is rehabilitating from an injury,” said Kolmas. “I was helping build an exoskeleton, or a brace for the knee, that would help you walk without placing stress on the knee.” This past summer, Kolmas’ research took him all the way to Delft University in the Netherlands, where he studied mission reports from small satellites. By determining which components of small satellites were most vulnerable to failure, he worked to find troubleshooting and repair methods that would minimize satellite failures in the future. In addition to research, Kolmas developed his interest in aerospace by participating in the 2013 Caltech Space Challenge, an event that brings the world’s top engineering students together in a competition to design the best space mission. “I think there was a poster on campus that first caught my attention, and I thought, ‘Hey, this is something I’d be really interested in,’” said Kolmas. After undergoing an intensive application process, he was selected as one of the thirty competitors and placed onto Team Voyager with fourteen others. Besides being a brilliant engineer, Kolmas is also a sports enthusiast. He swam all four years at Yale on the club team, serving as captain for two years. Additionally, he spearheads Trumbull’s IM endeavors as the volleyball and water polo captain. “I would say that water polo is my favorite sport because it’s so unusual,” said Kolmas. Currently finishing up his last year at Yale, Kolmas plans to obtain a master’s degree in aerospace engineering after graduation but is open to accepting a job offer if the circumstances are right. His dream job? “Probably ground control for a space station,” said Kolmas.